With the increasing popularity and people’s involvement with cryptocurrencies, it is not a surprise that more and more regulations appear in an attempt to manage and control them. There are several areas of the crypto-world which are under regulators’ radar. There is still some confusion related to the classification of cryptocurrencies – are they to be considered securities or commodities. The way they are labeled will determine how they’d be regulated. One area of regulations is about exchanges, digital wallets and how cryptocurrencies are traded. Exchanges need licenses and to be registered with certain institutions to operate. Laws and rules differ from country to country. Regulators are also focusing on mining operations which are related to the transactions and how they are validated on the blockchain. Another regulation scope of interest is the one regarding crowdfunding and ICOs. As companies are increasingly treating ICOs as a way of raising funds and exploring investment opportunities, the regulating institutions are becoming more aware of the risk of fraud and manipulation which comes with crowdfunding. Moreover, these concerns are fueled by the fact that the markets for these assets are less regulated than traditional financial markets. Probably the most influential regulator for the cryptocurrency market is the SEC or Securities and Exchange Commission of the United States. The US Congress created this agency in 1934, and it is now responsible for enforcing the federal securities laws and rules and thus for controlling and regulating all operations on securities markets. 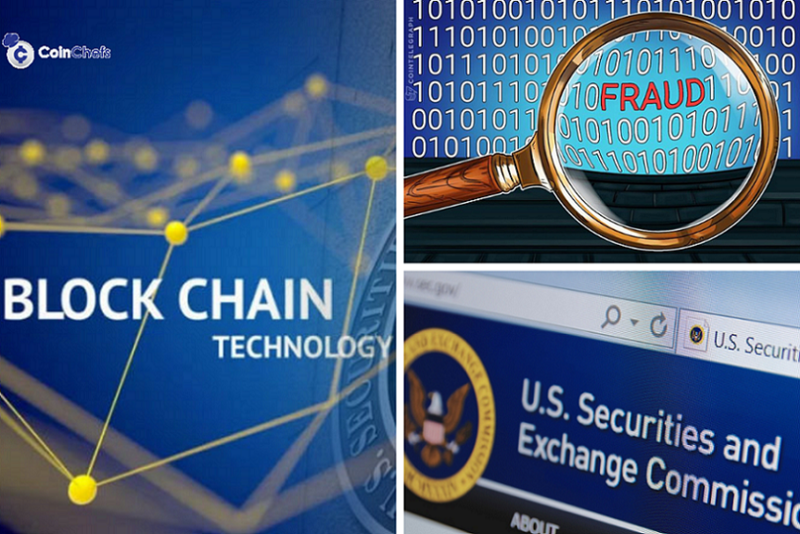 One of its main tasks is to investigate the cryptocurrency market and investment facilities with the goal to uncover any illegal activity or actions. The mission of the organization is to protect investors from unregistered and fraudulent assets, to maintain fair and efficient markets; and facilitate capital formation. The SEC requires registration and then the disclosure of specific financial information in the form of quarterly and annual reports (available to the public) from the regulated companies. The companies must provide SEC with a description of its features and purpose, description of the particular security they own and submit financial statements. The primary objective is to prevent fraud and facilitate investors by presenting them accurate data. The SEC treats ICO the same way it handles stocks and bonds and places the same demands on them. Initial Coin Offering (ICO) is a means of funding and raising capital for a project or company through the creation of new cryptocurrency or token. There are two types of ICOs – utility and security tokens. Utility tokens are internal medium-of-exchange that enable future access to a service or product, and they are not created to be an investment. Security tokens represent ownership rights and hold value as an asset (but that value derives from an external asset which can be traded). They are similar to stocks and are considered an investment. Security tokens fall within SEC’s jurisdiction and are subject of the agency’s regulations. The SEC uses a set of conditions called the “Howey test” to pinpoint “investment contracts” and when it comes to ICOs to determine whether an ICO is a security token. Transactions which qualify as “investment contracts” are considered securities, meaning that they are also subject to specific requirements related to disclosure and registration. The SEC is also responsible for approving and ordering the creation of ETFs (Exchange Traded Funds). The US Securities and Exchange Commission has once again delayed its decision the Bitcoin ETF proposal. The deadline for approval/disapproval of the rule change is set for February 27, 2019. The decision will be made by SEC staff in the Division of Trading & Markets.